FORMUFIT 1/2 in. 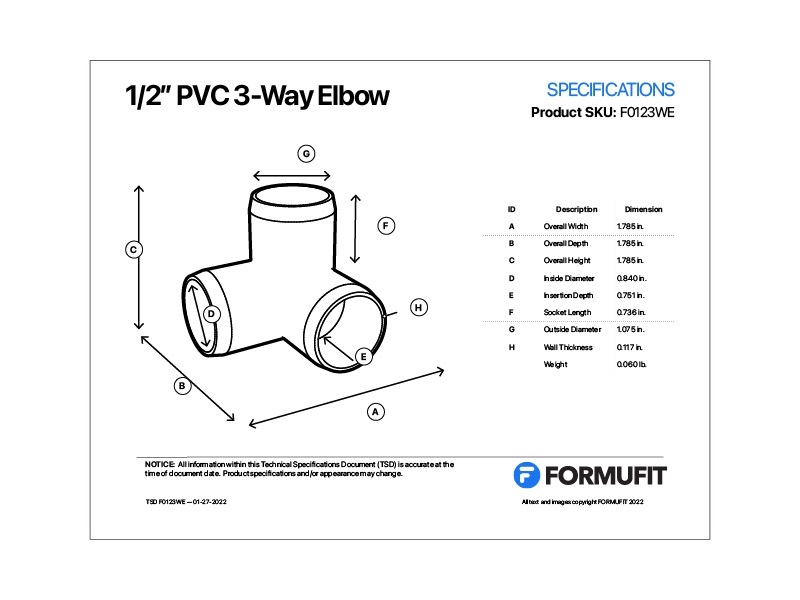 3-Way PVC Fittings are ideal for corners in projects, PVC structures and plans where three PVC pipes should meet at a single point, horizontally and vertically at three separate 90-degree angles. 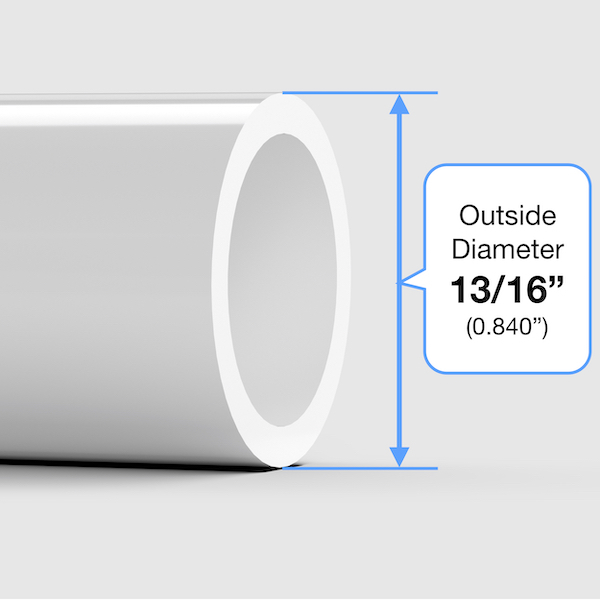 Fits externally over 1/2" Size PVC pipe, which has an outside diameter of 13/16" (0.840"). Combine three segments of PVC pipe to create a solid, sturdy corner joint. Smoothly rounded design accommodates all PVC applications. UV resistant PVC material resists sunlight and fluorescent lighting degradation. Extra deep ports to accept PVC pipe deeper. Tapered ends on each socket. This product will fit 1/2” Size PVC pipe, which has an outside diameter of 0.840” (13/16”) and an inside diameter of approximately 1/2“. 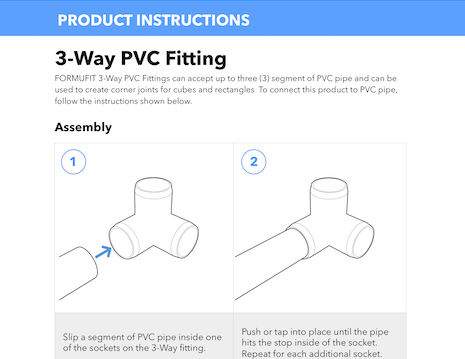 See our PVC 101 section for more info.